What started as a dream of a group of Redmond Moms has turned into a reality with the help of hundreds of volunteers and over $750,000 of donations, grants and in-kind labor. “Hope Playground symbolizes that anyone can make an impact in a community. What started as a presentation to City Council during citizen comments almost four years ago has resulted in a show-piece for our community,” enthused George Endicott, Mayor of Redmond. Hope Playground was chosen as one of ten projects worldwide by the Kiwanis International Club to celebrate Kiwanis’ centennial in 2015. 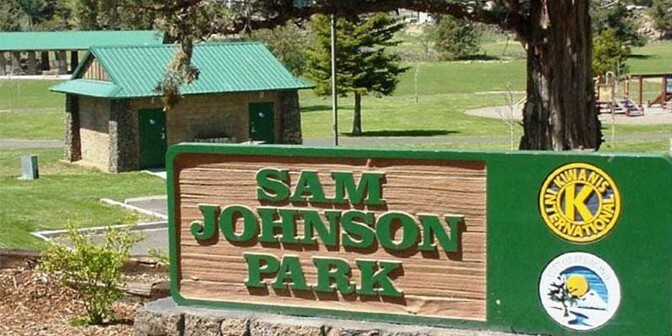 Three long years of planning and fundraising were rewarded when the City of Redmond, Kiwanis Club of Redmond and the Friends of Sam Johnson Park proudly cut the ribbon and celebrated the grand opening of Hope Playground. The playground is Redmond’s first fully inclusive playground for all abilities. The project was funded in part by the generous donations of community members and by the following granting agencies: Oregon Park and Recreation Department, St, Charles Foundation, Bank of the Cascades, Oregon Community Foundation, Redmond Kiwanis Foundation, Pacific Northwest Kiwanis Foundation, Kiwanis International Foundation, Pacific Power Foundation and Central Oregon Electric Cooperative. 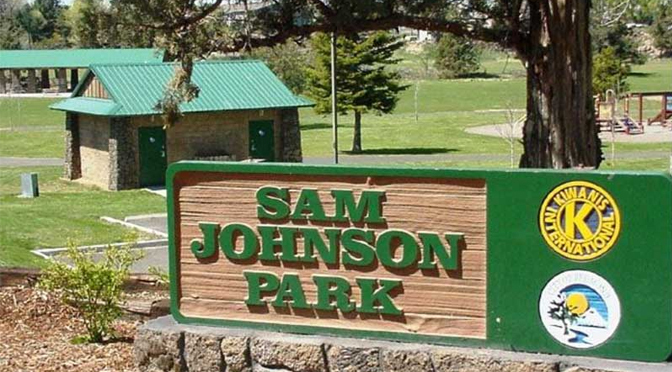 The Kiwanis Club of Redmond appealed to the community for donations to its Sam Johnson Park renovation project. Partnering with the City of Redmond and the club’s foundation, Kiwanis raised $225,000 to fund the $700,000 project. An anonymous local donor agreed to match funds raised up to $112,500.00.